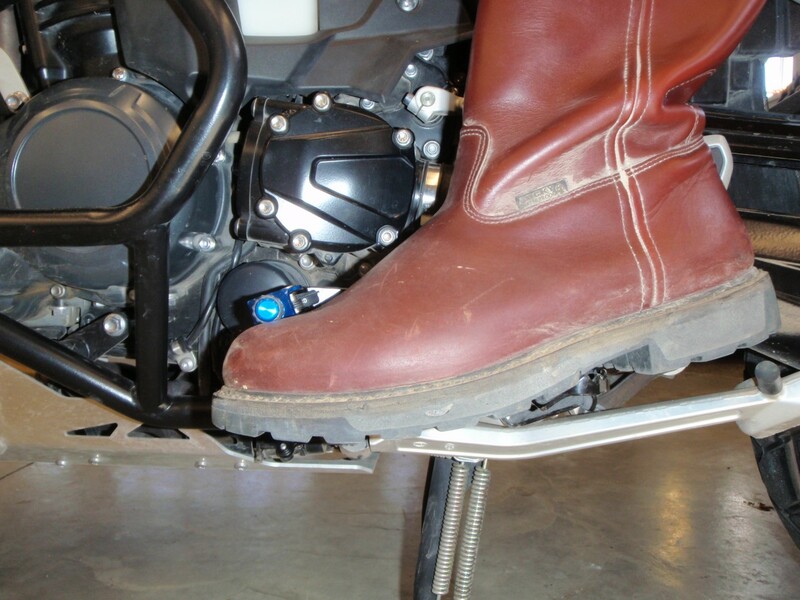 Has anyone used the IMS Adventure series footpegs on their 1200 tiger? I like the size of them, but find it hard to believe that they won't fit the tiger. Have you considered the Triumph pegs, standard fit on the XCa and bolt straight on to the XRt? I’ve used the K&L pegs on my Scrambler and Explorer. They give a little more leg room which is good for me...I’m tall. I also like the fact they are produced to order and made here in the USA. The only downside is I need to buy a longer shift lever. Procrastinating on that one. 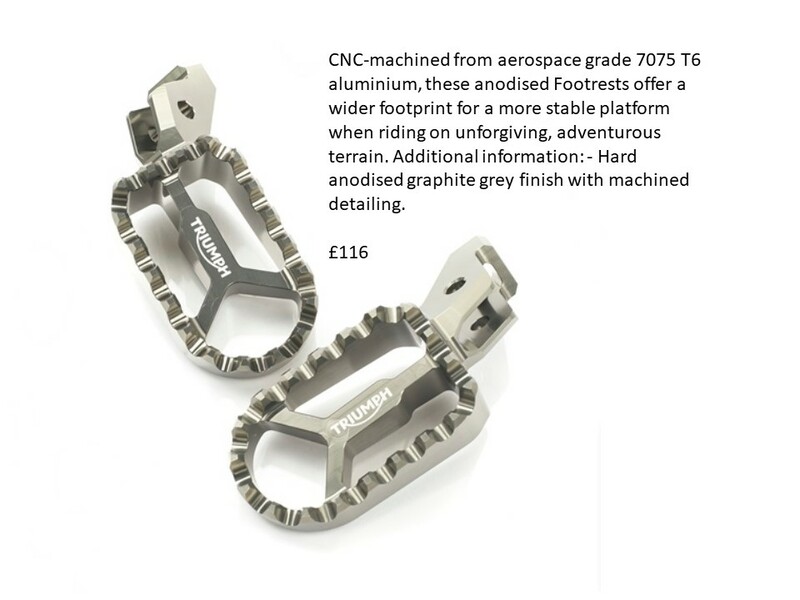 Do wider footpegs actually make a difference? Yes. They're more comfortable when you stand up. They create less pressure under your foot. The std Triumph rubber coated ones are not very nice really. I got an aftermarket set and I got them a little wider and a little longer and an inch lower. Gave me more leg room, better to stand and I didn't have to work so hard to keep my boots from coming off the outside edge. https://www.knlcycle.com/tiger_footpegs.htm I got the deluxe oversize and love them. What longer shift lever did you get? 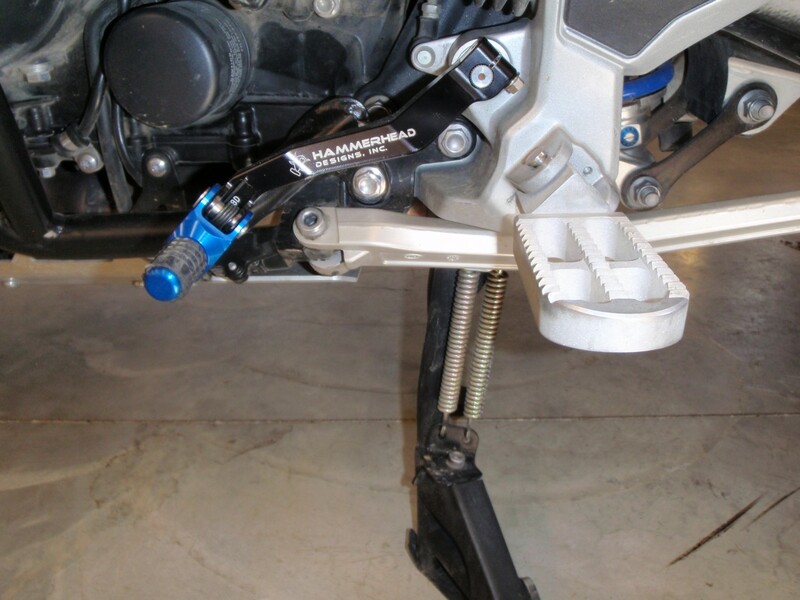 Hammerhead Designs https://hdmoto.com/moto/paragon-footpegs They were ordered for a '95 YZ250.